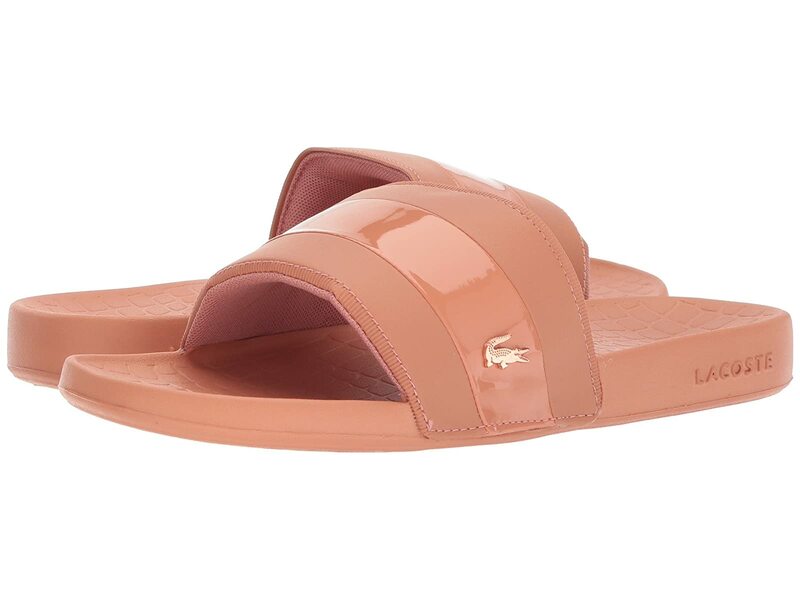 Slip into supreme and effortless style with the cool Lacoste™ Fraisier 118 2 U slide sandal. Synthetic upper with grosgrain trim. Signature hardware logo at side.